the collections of the master chairs drawings and photos made available through some of the best French antique reproduction companies in the world and are related to master pieces (stamped pieces) is to give furniture designers , decorators , students , collectors , and all other interested in fine furniture , amore comprehensive knowledge of representative chairs executed in the Eighteen – Century French Regence style (1700 – 1730 ). 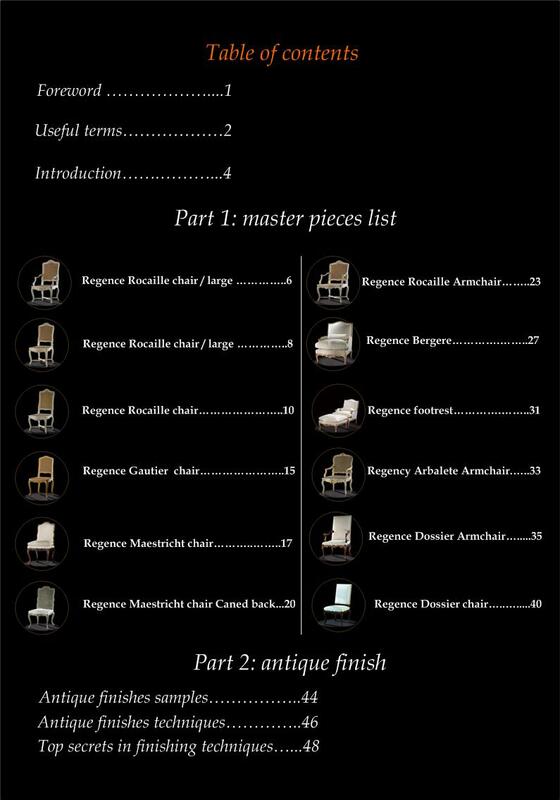 In choosing the specimens of chairs studied , an effort has been made to select subject that will serve best ( include the chair origin , period , dimensions , and descriptions , both as sources of inspiration for original designs , and as models for the manufacturers of replicas. 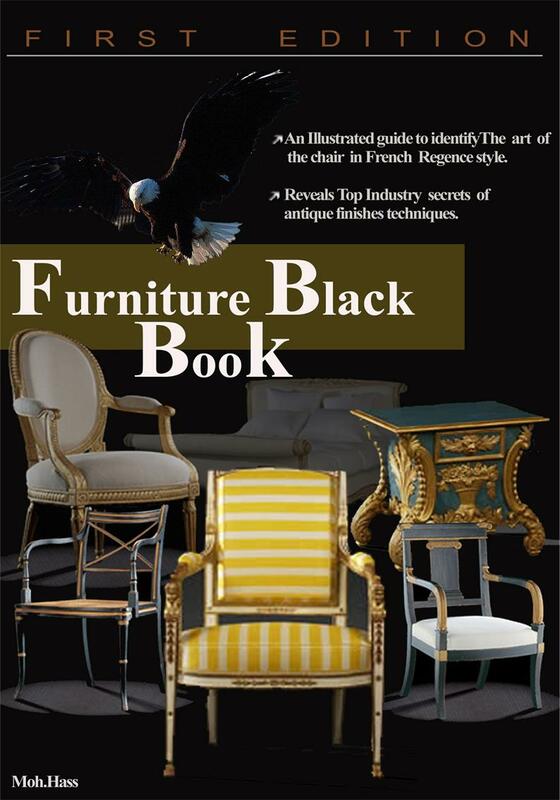 In order that the reader may better understand the traditions and influences governing the form and character of these designs a short explanatory text accompanies each piece . Photos of the piece is also included in different finishes and wood only. 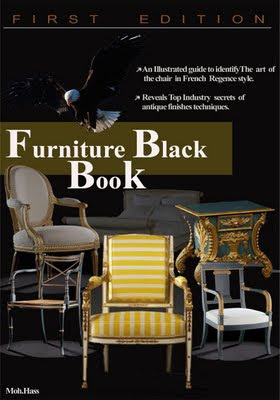 These books’ series will reveal through its published editions top industrial secrets , representing in this book through the explanation of antique finishing techniques, a lot of efforts is made to gathering these information hoping that our readers will have a more comprehensive knowledge about the industry as well as the history.